Biscotti company activates in the baking and pastry market based in Thessaloniki. Based on three ideals quality, tradition & variety, our goal is to produce high quality products. The quality of our products constitutes the main aim of our company. 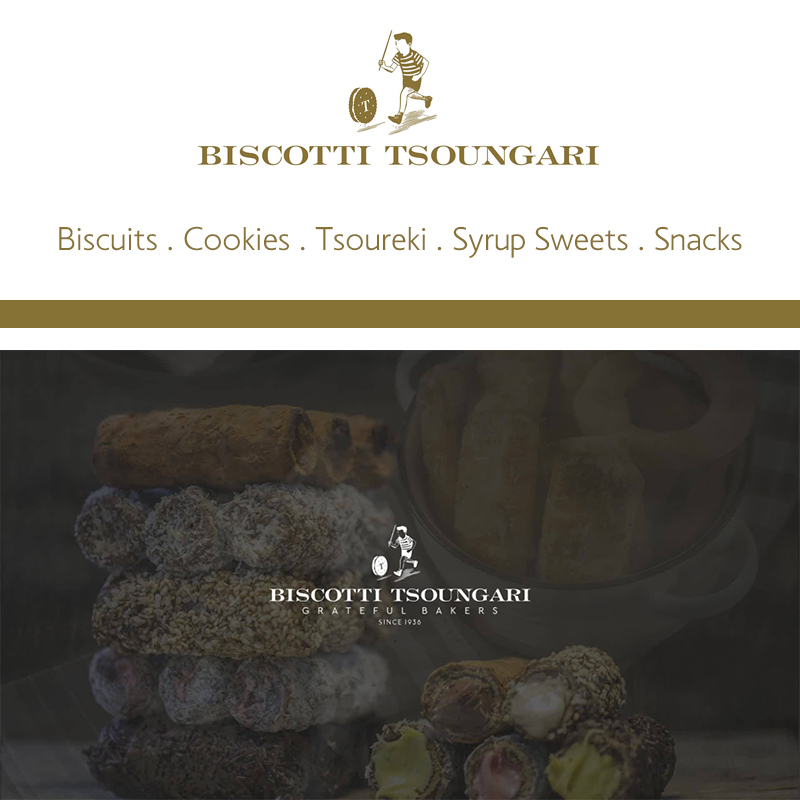 “Biscotti” is based in Thessaloniki Greece, with production facilities which are equipped by all necessary and modern equipment in order to ensure safe production. End of 2010, start preparing the export activities of the company and today there are products in supermarkets, bakeries and selected outlets in more than 10 countries, including Germany, Holland, Belgium, England, Denmark, USA, Bulgaria and Cyprus.